K.S.D.E.O. “EDRA” is a Non-Profit Organization established in 2001 in n the city of Athens, Greece. 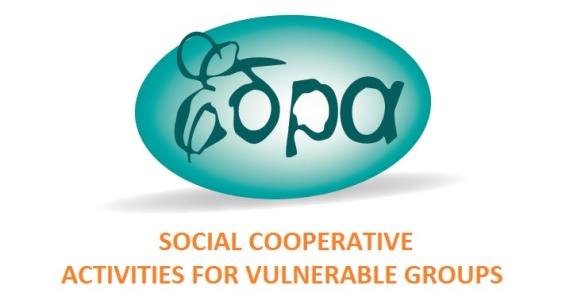 The organization has developed a variety of community programs and structures aiming at supporting the quality of life and the rehabilitation & integration process of disadvantaged individuals being at risk of social exclusion, as well as projects for the prevention and the sensitization of the community around mental health problems and the promotion of mental health in general. K.S.D.E.O. « EDRA » has also recently developed a series of European initiatives which come directly in line with the holistic approach in Mental Health. The National and Kapodistrian University of Athens (NKUA), is among the largest universities in Europe. It was founded in 1837 and today it has around 115,000 undergraduate and 13,000 graduate students. Around 4,686 students are enrolled in the School of Physical Education and Sport Science. The School takes great pride in preparing students for careers as physical education teachers, coaches and sport scientists. In the framework of the Erasmus programme it has established bilateral agreements with more than 15 European Universities. The School includes faculty members recognized for their high quality research and publications. It has 70 professors/academic teaching staff and instructors; 15 secretarial, technical, library staff and 14 active Emeriti (professors). It offers two tuition free Graduate Programs: Biology of Exercise and Physical Education and Sport that provide Masters and Doctoral degrees. The undergraduate program, eight semesters, provides a combined degree in Physical Education and Sport Science. The School of Sport and Exercise Sciences of the University of Kent offers the perfect environment for motivated and ambitious students. We provide excellent teaching, a strong research culture, a phenomenal student experience, great graduate prospects and state-of-the-art facilities. Our staff consistently produces high-quality research that is published in world-leading journals. As experts in our respective fields the School’s academic work has impacted the training and performance of coaches and athletes from British Cycling, GB Boxing, GB Swimming, Professional Football clubs, NHS, English Institute of Sport (EIS) and the Ministry of Defence. 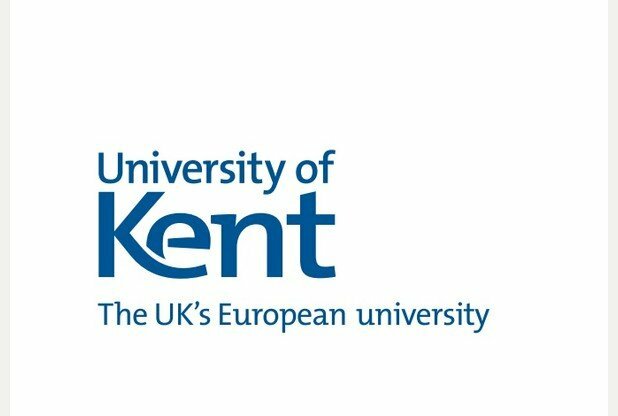 The University of Kent is ranked within the top 20 of UK universities for Sports Science according to the 2016 Guardian University Guide. residential settings, daily centres, family-like communities and protected homes for elderly, disabled or mentally impaired people. COOSS has its internal Research and Training Department, whose main activities consist in the participation to EU and National research projects and in the design and management of training courses to qualify, upgrade and specialize operators working in the social sector. INTRAS is a non-profit organisation founded in 1994 dedicated to high quality research and intervention in the psycho-educational field. It aims to improve the quality of life of vulnerable groups, and in particular adults and young at risk of social exclusion due to mental health issues. We do this by delivering education and training and promoting their inclusion into the labour market. The organisation consists of 10 centres in 8 different provinces in Spain with more than 180 psychologists and professionals from social and educational fields. INTRAS runs non-formal educational activities including sports; we have a Sport Club which members play in regular competitions and leagues, promoting social inclusion and fighting against stigma. to accomplish its mission, the Association uses sports as an important factor for social support. to support individuals with disabilities in their societal integration process and physical health through organized sports activities. Association „Olimpikas“ was established in 2004. The main aim of the association is to pay attention to existing problems of disabled people and problems which they meet in the process of rehabilitation and integration into society. 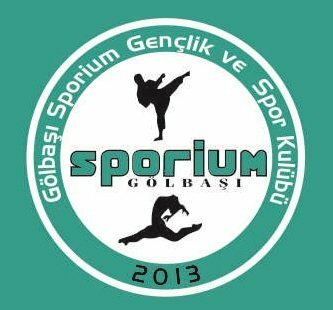 Also very important task of the association is to unit people through a healthy lifestyle, art, sport activities and enjoyable leisure activities. Association unites people who have different kind of disabilities (physical, mental or complex disabilities) from Siauliai region. These people can‘t move independently, can‘t work physical or intellectual work. All of them are connected by willingness to be together and to be in the society. We have 30 disabled members in our association at this moment. They are engaged in various sport, art and leisure time activities. Members of association achieved hight score by taking part in regional and international events. Association organizes various events for disabled people all over the country. The main aim of OZARA ZAVOD Maribor is to improve the situation of vulnerable groups and persons with disabilities in the labour market, to improve their social inclusion, to decrease their passivity and to improve their active role in the field of employment. OZARA ZAVOD Maribor will, with an innovative approach and innovative programme encourage the development and implementation of new ways of integration of vulnerable groups in the employment market; also through the improvement of their wellbeing through the increase of physical activity. Our work methods and the proactive approach are adapted to vulnerable groups and people with disabilities, who need specially adapted methods of education, training, and motivation and at the same time they also support the active approach towards solving own problems and assuring equal opportunities for everybody. We are also developing a programme to support a more active engagement of vulnerable groups and people with disabilities in different sports activities. OZARA ZAVOD Maribor has no direct previous experience in EU funded initiatives, since it was established just in 2013, which means OZARA ZAVOD Maribor is a newcomer in the field of EU funded initiatives. Nevertheless the team working with the association consists of experts with many years of experience coordinating and working in international working environments. Rijeka Sports Association for persons with disabilities is non profit organization based in city of Rijeka in Primorsko-goranska region, whose objectives are development and spreading of sport between disabled people, development of sports and recreation activities of disabled people, encouraging of top sports creativities and conditions generation for top sporting achievements, as well as promoting educational functions of sport, fair play, understanding, tolerance and responsibility in sport. Members of Rijeka Sports Association for persons with disabilities are 19 NGO sport clubs + 503 private persons. Following and consideration of the current financial issues in sports for persons with disabilities in the Primorje-Gorski Kotar County. The Fondazione carries on the tradition of Villa Montesca where in 1909 Maria Montessori organized a seminar that gave birth to the first publication of the scientific pedagogic method universally known as the ‘Montessori Method’. Continuing the tradition of the Villa Montesca owners, Alice Hallgarten and Leopoldo Franchetti, in the fields of innovative teaching methods and social work, it is nowadays internationally renowned for the top quality research in teacher training, information technology and communication, education for European integration and regional cooperation in the field of education and culture at local, regional and European level. The aim of the Fondazione Villa Montesca activities is to help establish an efficient educational system which can help to overcome the barriers to education and training, speed up the recognition of learning outcomes achieved in formal, informal and non-formal approaches in order to encourage active participation in the learning process also by those people who, owing to marginalization, may be excluded from it. ANARP is a nonprofit association created in 1986 by family and friends of people with mental health problems. Our institution provides a set of services based on the assumption that people with mental health problems must be included and should have access to a lifestyle full with opportunities, goals and aspirations, similar to any other citizen. ANARP has an integrated and holistic program covering four main areas of activity: personal development, education and employment, supported housing and family support. Each of these areas is developed accordingly to international guidelines, a clear synergy between intervention and research, achieved through our network of partnerships. 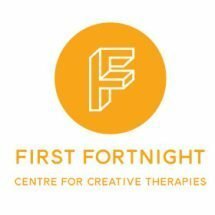 Make the First Fortnight of each year synonymous with mental health awareness through a two week mental health arts festival, challenging prejudice and ending stigma. Develop research findings from Festival Events and Creative Therapies to aid policy makers in the development of a greater understanding of the complex maintaining factors affecting mental health prejudice and discrimination and advocate change. Maintain co-operation with National, European and International Partners in the developments of projects, network activity and artistic collaborations. The activity of MEH is underpinned by four core values that determine and inform the projects that MEH undertakes and how it does the work that it does. We recognise that everyone has something to contribute, embracing their individual talents and skills and empowering them to reach their potential. We attempt trustworthy and competent in the work that we do, so that people have justifiable confidence in us. The Municipality of Galatsi has an area of 4.026 km2 Until the mid-20th century, the area was mainly made up of farmlands but due to the continuous expansion of the Greek capital, Galatsi was rapidly urbanised and has come to lie close to the center of the Athens. To be specific Galatsi is an inner suburb of Athens, located 4 km (2 mi) northeast of the city centre. Its built-up area is continuous with those of Athens and neighbouring suburb Neo Psychiko and Nea Ionia. Although it is one of the most densely populated areas of Athens, it has a high percentage of its lands covered by flora, as the hill of Tourkovounia with its forests and the park Alsos Veikou are among the major « green lungs » within the centre of Athens. Some of the most important sites of interest are the beautiful park Alsos Veikou, the exceptional byzantine 12th century church, Omorfoklissia opposite the park, the Galatsi Olympic Hall where gymnastics and table tennis were played during the Olympics of 2004 in Athens and the Cultural Center Lime kiln of Galatsi with the local library, two auditoria and a gallery. Fokus ČR is an association gathering 10 independent NGOs that support people with mental health problems by offering them social services, health care, employment services, education, leisure and physical activities and sport. We believe in recovery, in capability of people to live quality lives independently and to take decisions concerning themselves, their life roles and treatment. We strive for reducing the stigma of people facing mental problems, we organize discussions with professionals and public. We actively contribute to media, create destigmatization PR campaigns and initiatives. We actively participate in the Reform of the psychiatry care in the Czech Republic.